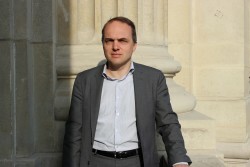 Yves Bertoncini is Secretary General of Notre Europe since April 2011. He has been an advisor to the French Secretary General of European Affairs, responsible for reform of the SGAE. He was responsible for “Europe and the Lisbon Strategy” at the Centre d’Analyse Stratégique (2006-2009) and General Rapporteur of the mission on “Europe in the Global Economy” entrusted in Laurent Cohen-Tanugi by the French Ministers for Economy and Social Affairs. He practiced lobbying activities on European Issues as the Head of international affairs at the French Insurance association (FFSA) (2002-2005). Administrator at the European Commission at the DG “Education, Training and Youth” (1998-1999) and at the DG “Regional Policy” (1999-2001), he also worked on two occasions at the French Ministry for Foreign and European Affairs, and was also posted at the French embassy in Algiers (1992-93). Mr. Bertoncini teaches European Issues at IEP Paris and the Corps des Mines (Mines Paris Tech) and has also taught at the École Nationale d’Administration (2007-09). He has also taught International Issues at IEP Paris from 2001 to 2006. Yves Bertoncini has published numerous books, articles and policy papers on European issues, concerning the analysis of European politics, and other economic and social issues. Yves Bertoncini holds degrees from the Institut d’Études Politiques in Grenoble and the Collège d’Europe in Bruges and has also studied at IEP Paris and the University of California in Berkeley.